You see a map that displays territory of Russia. You can find here town Shlissel'burg download for free. Displayed town Imeni Morozova presented. On this map town Mga marked. 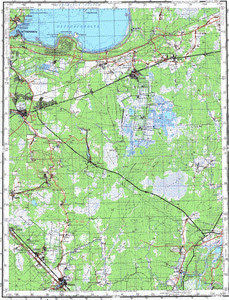 On this map town Priladozhskiy free download. On this map town Lyuban' presented. You can find here town Sinyavino for Garmin. You can find here town Ryabovo presented. Displayed town Nurma for Garmin. Displayed Zhorzhino for Garmin. Displayed Zhikharevo presented. On this map Zhelannoye free download. Zhary presented. On this map Zhar download for free. On this map Zenino marked. You can find here Zamosh'ye for Garmin. Yerzunovo presented. You can find here Yegor'yevka marked.